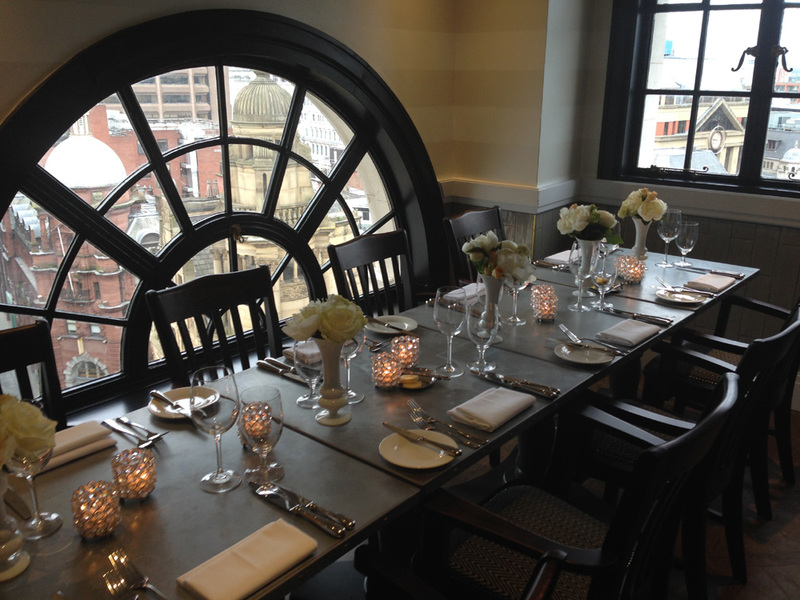 Last week I was very excited to try out Honey restaurant in Hotel Gotham, Manchester’s brand new quirky-themed 5-star hotel. (If you’ve not heard about this hotel yet then check out their website – it’s certainly an interesting one!) 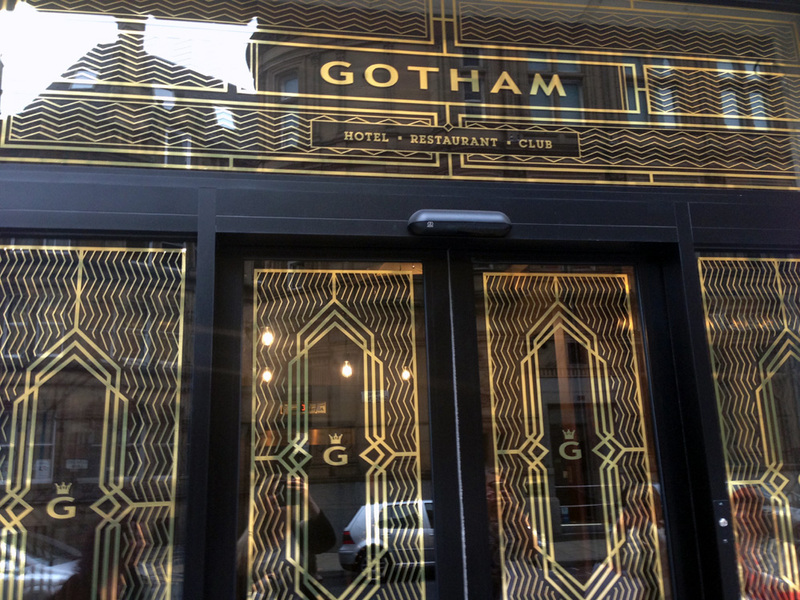 From the moment you enter through the glossy black and gold Art Deco door and the uniformed bellboy guides you into the lift, you’ll realise that Hotel Gotham really is very decadent! It’s a renovated bank building decked out in 1920’s Art Deco style, with plenty of quirky features to boot. I can only imagine what the bedrooms must be like! The restaurant (randomly called “Honey”) is on the 6th Floor so there are some fab views out of the domed windows and it’s a lovely bright, spacious restaurant, with plenty of interesting “Gotham” details. It only has a small menu, with about 6 very interesting-sounding options for each course. 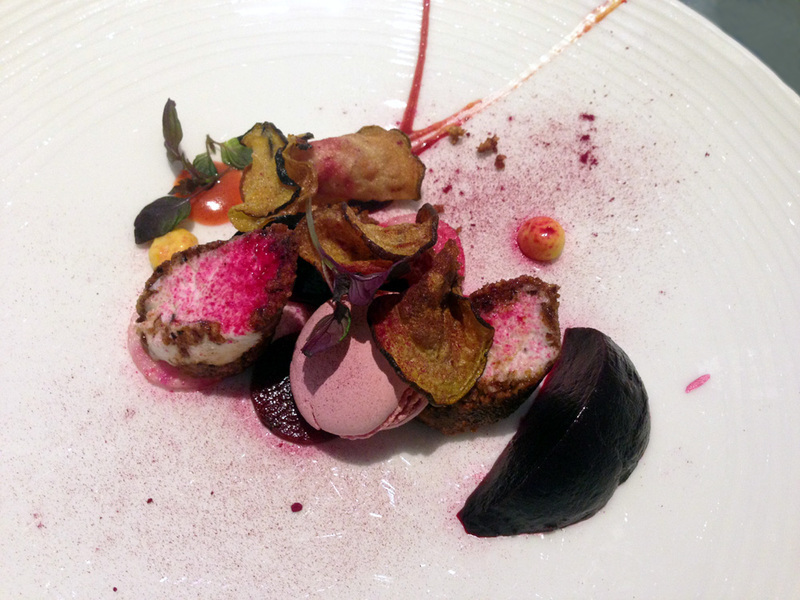 For my starter I chose a goats cheese dish served with spiced pecans, beetroot and pomegranate, and as you can see it was a very delicate, pretty, pink-themed plate, almost too good to eat (but not quite!) It was full of all sorts of interesting flavours and even included a mini macaroon, which you can see poking out in the photo. A very unusual starter and not what I was expecting at all, but I was pleasantly surprised. For my main course I couldn’t resist going for Rich Man’s Fish & Chips, and I wasn’t disappointed. 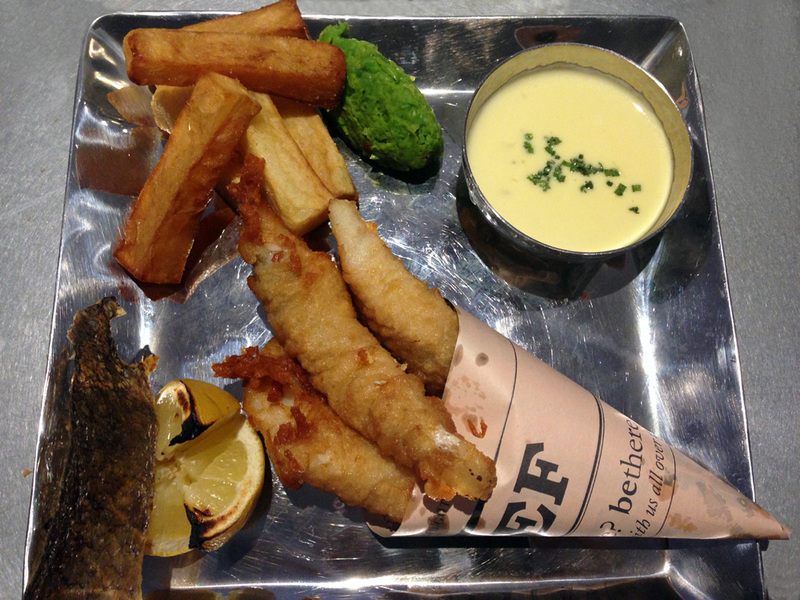 There were tasty and generously-sized pieces of battered white fish served in a newspaper cone (was this the Gotham Bugle? I’m not sure) served with “bashed” peas and the most delicious chunky chips, which I’m ashamed to say were probably the highlight of the whole meal for me! 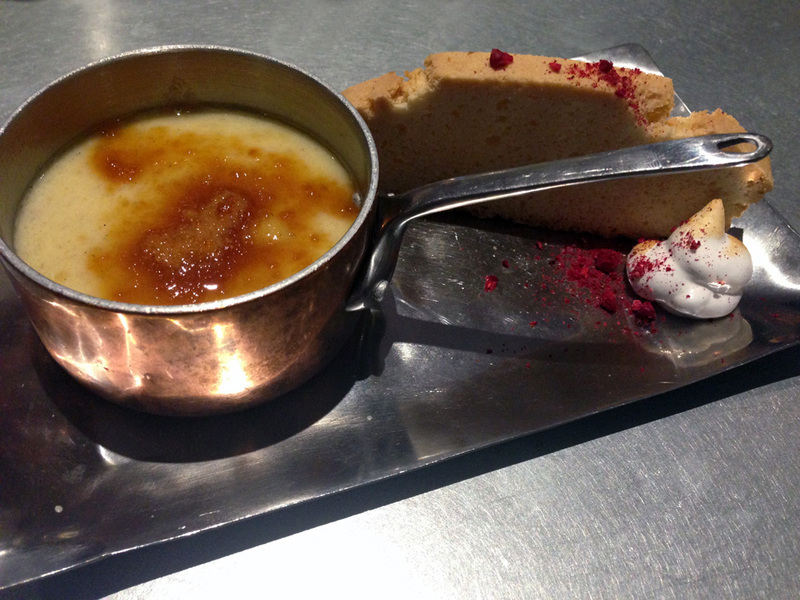 And then for dessert I went for the Manchester Tart Brulee. Luckily I had actually read the menu properly so I was definitely expecting a Brulee and not a tart, but it would have been easy to make the mistake! Again this was a tasty and unusual dish, although very sweet so perhaps not to everyone’s’ taste. The menu is fairly pricey, but I really enjoyed dining here. 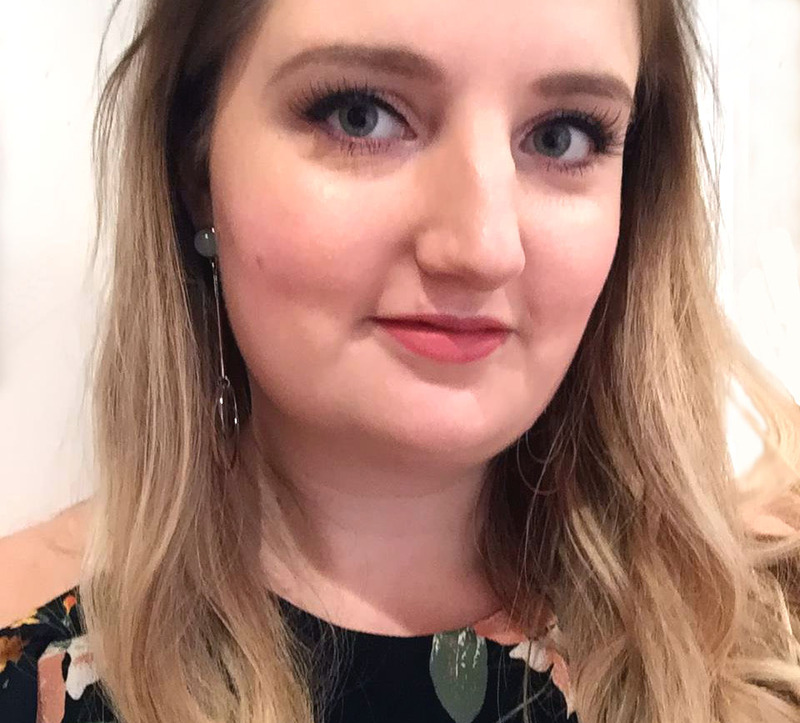 I’d definitely consider it again for a special occasion, but one thing I’ve learned is that the menu is quite ambiguous and many of the dishes are very different from what you’d be expecting. 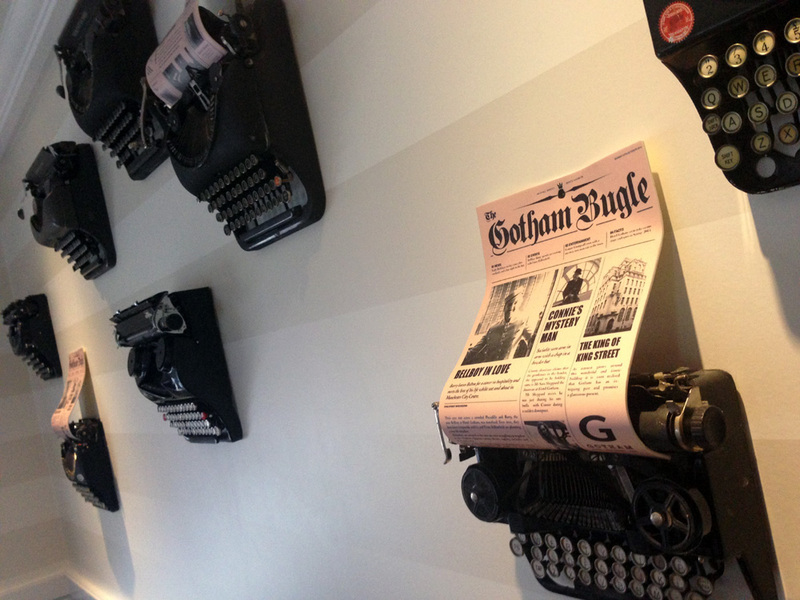 Sometimes that can be a good thing, but personally I prefer to feel confident I’ve ordered the right thing for myself, and that’s quite difficult here at Hotel Gotham! WOW! the food looks amazing. The menu sounds intriguing… I may have to have a little peek at the website!